Is a 4ft x 18″ micro layout depicting a small portion of a steel works with a main branch line that runs from end to end along a grassy embankment. All the buildings are scratch built with lots of details packed into a small area. 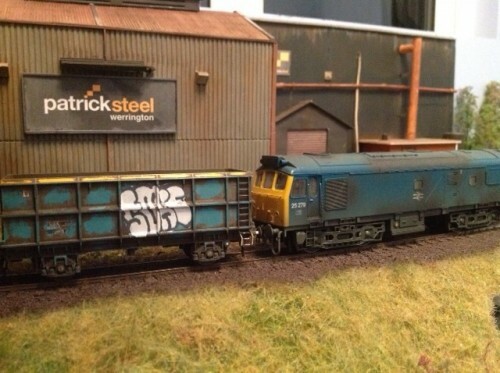 Track work is C&L handbuilt and ran using dcc. Cassettes either end allow trains to run through the layout with short train shunting into the steel works and the siding on the embankment.